This is my small matte Jet Black Czech Glass Sacred Heart Car rosary. The parts on this rosary have a more aged finish which is hard to see due to the reflection and light in the picture. 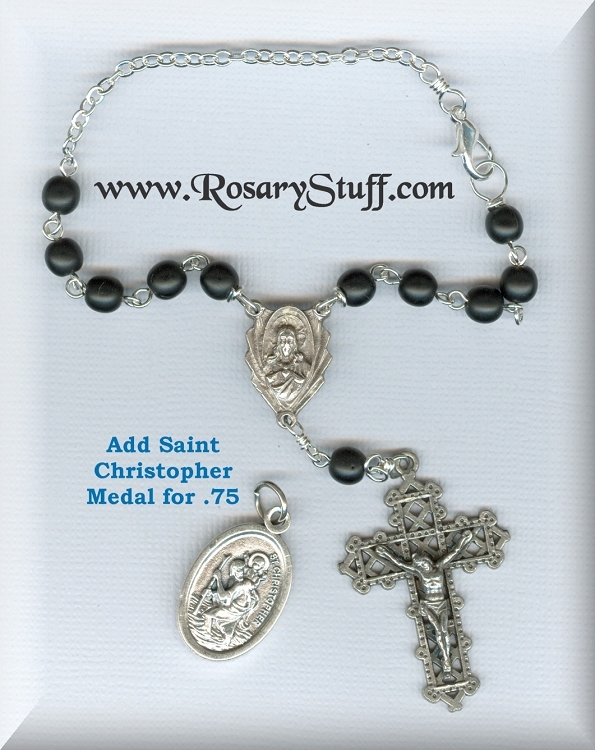 Unlike other car rosaries, this one is fully customizable and includes an option for a Saint Christopher medal (patron of travelers) attached to the crucifix. If you would like to get more information about what colors and parts are available in this price range, please contact me. 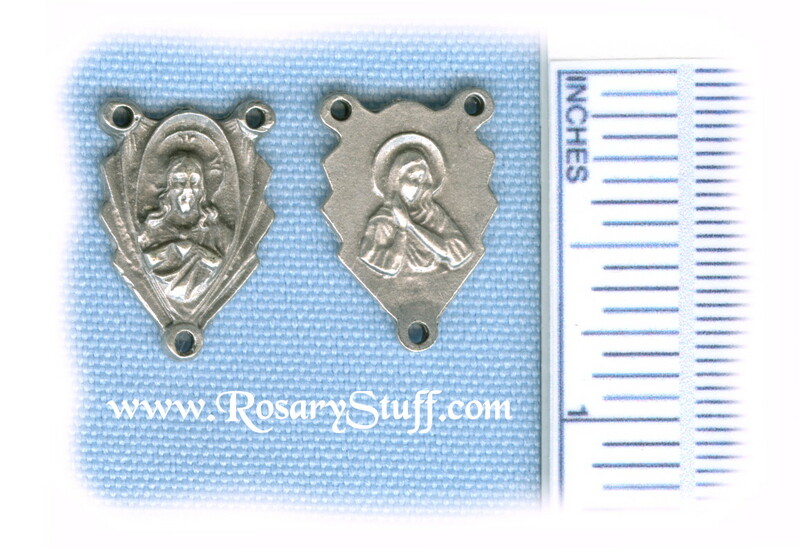 CLASP: The American made clasp.